Saturday the 10th. 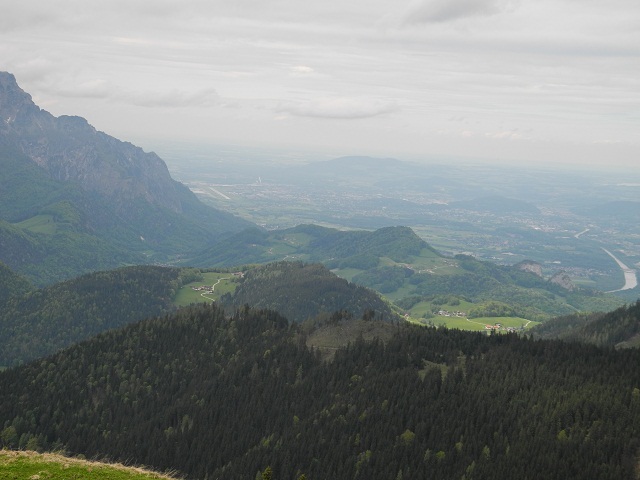 of May was the first (forecast) dry day for over a week at the Ahornbüchsenkopf summit so I deceided to go ahead with this activation that had been canceled the previous weekend due to an extreme weather warning. 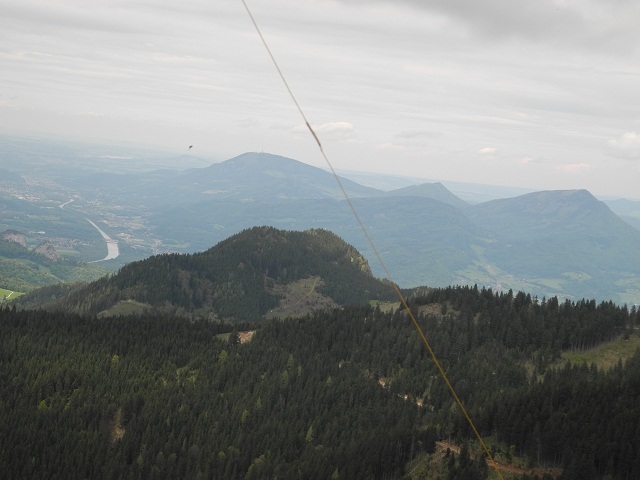 The activation was combined with a visit to a friend who then accompanied my wife and I to the Ahornkaser restaurant, which lies about 60 meters below the SOTA summit. The fact that a visit to a friend and the 2.5 hour drive to get to the area from where I am living meant the start time of the activation was set at 2:30pm local, we were also limited in how long I could stay on the summit by the expected autobahn traffic levels on the return home. I had hoped for 90 minutes on the summit but this turned out not to be possible. The Ahornkaser restaurant that would form my “base camp” lies about 60 meters below the Ahornbüchsenkopf summit and is the highest road-accessible restaurant in Bavaria. 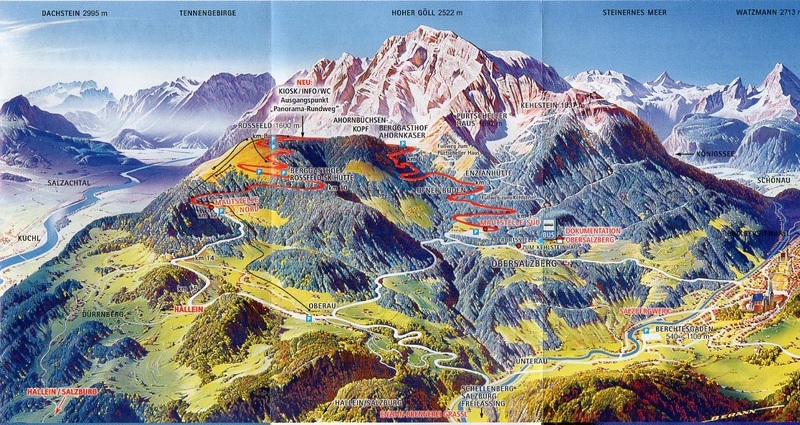 The Ahornkaser lies just off the “Rossfeld Panorama Strasse” not far from Berchtesgaden in SW Baravia.The road, which runs along the German / Austrian border, rises to 1570m at its highest point, just past the turn off for the Ahornkaser restaurant. The morning did not start well with overcast weather on the way down but by 11am the sun had broken through and the temperature risen somewhat. On getting to the bottom of the ~ 60m summit climb at just before 2pm, I found the ground to be waterlogged. Parts could only be described as a bog. The week of heavy rain that the region received over the preceding week had obviously taken its toll. This made the climb / walk more time consuming as I had to work my way around the worst spots. The track to the top was not visible at this stage however as I got higher, at about 15-20 vertical metres from the top, the track was there but like the ground around it, it was under half a metre of melting snow. The snow would not support my weight so I found some rocks at the snow line and used that as my base, setting up antenna and rig as best I could. I would have like to have got to the summit and use the convenient table and seating bank however it was not safe to proceed any further. 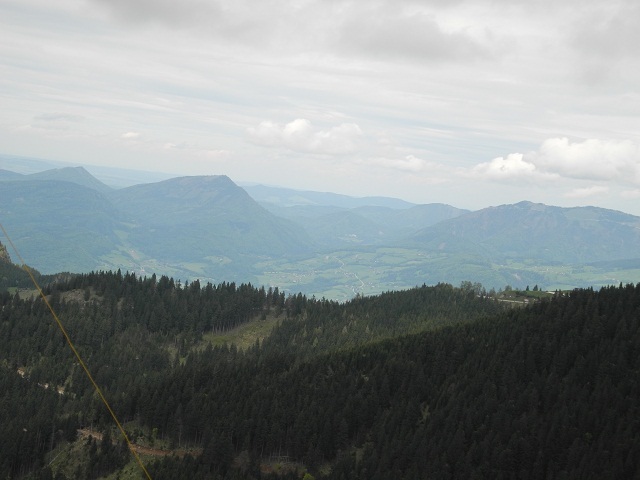 As I sat, perched on my rock on the side of this mountain and looked out I realised how high up I was and how far I could see into Austria and back into Germany. I hoped that the fact that I could only manage to get the centre of the inverted-V dipole up to about 3.5m above ground instead of the usual 5m would not be such a problem given the location. What I could also see were some storms forming on neighbouring mountains, so no time to lose and it was nearly my advertised time to be on-air in any case. 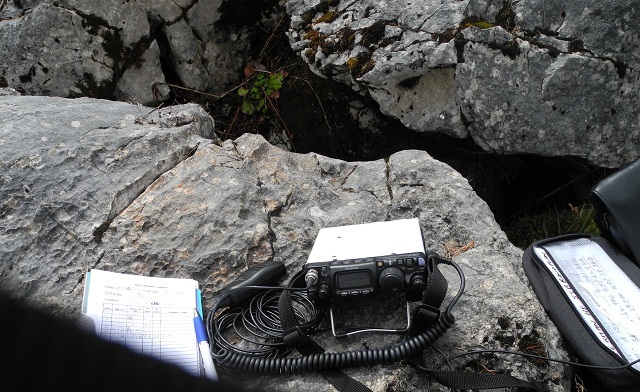 I started on 20m and while there were the usual strong European stations, I could not hear any DX. I was hoping to make some short path contacts back into Australia as I had managed long path contacts on previous activations from lower summits. I found a free frequency and started calling CQ-SOTA and spotted myself on SOTAWatch using RRT at the same time. Cell phone coverage should be good in the area however my phone had the problem that it kept switching between the German & Austrian mobile phone cells and kept sending me SMS warnings about roaming charges. In any case when I stopped calling, there was Don G0RQL from Devon in England booming in as usual. Contacts with a few other European stations followed (see log below) but when I saw a Norwegian activator spotted on SOTAWatch I went after him and succeeded in making an S2S contact. 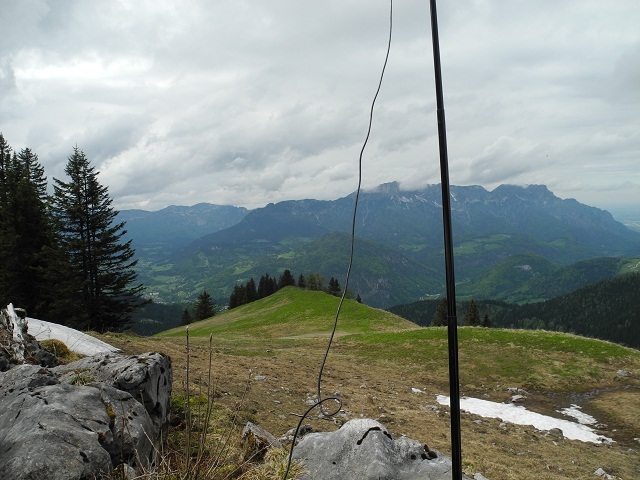 Apparently there were several European SOTA activators out but they were on either different bands and mode than I could run or they were simply not active when I was. After the S-2-S contact I worked a couple more stations on 20m before trying 40m. At this point the mobile phone cells were even more difficult to access than before, making it very difficult for me to self-spot. I put out CQs for about 15 minutes with no responses, before light rain started at about 3pm local time. As I could see the storm coming towards me this was not a shower that would pass and indeed after I had packed up and carefully picked my way back down the mountain slope to the restaurant, a heavy storm came through. Not the best activation. A lot of work for being operational only half an hour. Activating later in the year when the snow had gone and later in the afternoon would have probably been better for propagation. But those views! even with the clouds, the views were fantastic, definitely more than the photos can show. Perhaps I’ll activate this summit again in 2015? 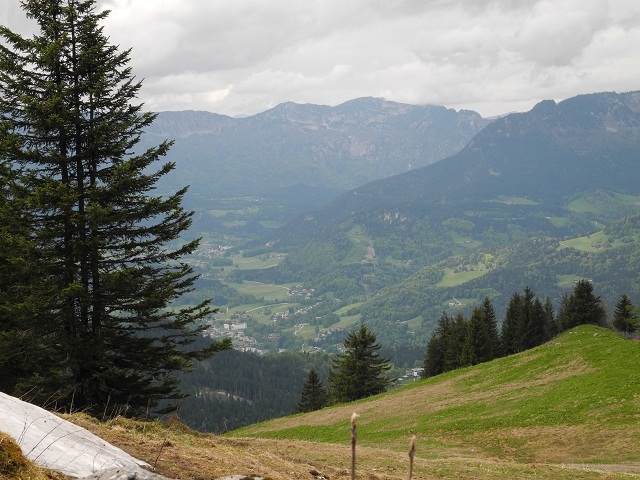 This entry was posted in SOTA and tagged Ahornbüchsenkopf, DL/BG-023, SOTA by VK2JI DD5LP G8GLM. Bookmark the permalink.